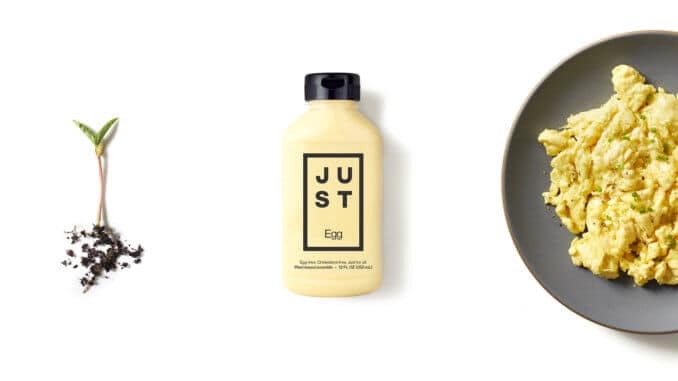 JUST Egg, the second product due to be introduced from the controversial company formerly known as Hampton Creek, has been accepted into Amazon Launchpad. This latest news from the Silicon Valley startup means that their long-awaited liquid egg, created using mung beans, will become available to millions of Amazon customers throughout the U.S in the coming months. Amazon Launchpad is a brand accelerator program which aids startups in becoming successful on their platform. Launchpad was introduced last year to help showcase startups and their innovative products, providing an array of tools for small businesses, and matching them with suitable organisations in order to form collaborations. JUST have been making waves since phenomenon of their JUST Mayo and the surrounding press, plus a variety of media stories around the company takeover and their charismatic CEO Josh Tetrick. His company is known in financial terms as a “unicorn” – a privately owned startup worth over $1 billion. Now with this new platform through Amazon, plus a recent agreement with Eurovo Group to distribute their product across Europe, JUST are set to reach new heights. JUST have stated that they have the ability to meet the demand of major retail and food service partners in 2018. 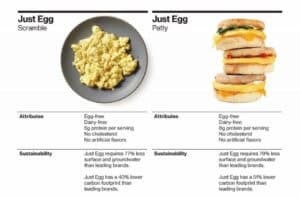 Their plant-based egg will be sold in several outlets including Veggie Grill, Wegmans and on Jet.com.